My Server Computer has 2 monitors and the Server does seem to see the Laptop and Vice Versa. But I can not access the laptop with the server's mouse. My Laptop does not have an external Monitor. Only the monitor that came with the laptop. What must I do to get these two computers to work together. The server computer is using Windows 10 64bit and the Laptop is using Window 7 32bit. If anyone has any suggestion on how to get these two to work, please help me. Hi Pueo! We're sorry to hear that. Please send us a screenshot of your server configuration. 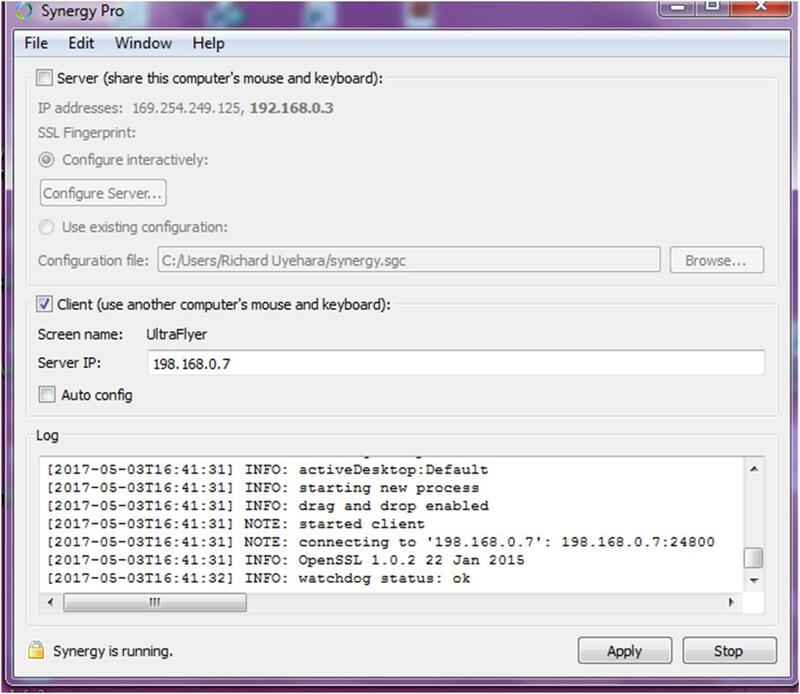 You should see that by clicking Configure Server on Synergy's user interface. Here are the screen shot of the server computer and the Client (Laptop) and the setting to run it as a client. Hi Pueo. Please do the steps below. It did not work the first time but I tried again it has connected to the server and it works fine. It's great to hear that @Pueo! You're welcome. Cheers!